Colour Bender, Fuzz pedal from 65amps. 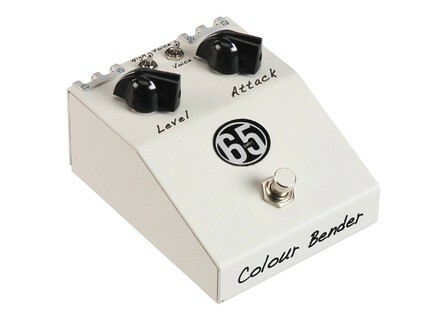 If you liked the Tone Bender Professional MKII fuzz pedal, you can now discover the 65Amps version, the Colour Bender. This new version developed by 65Amps employs the classic 3-transistor germanium circuit for traditional fuzz effect, but with the different controls, you can vary the tone from bluesy overdrive to vintage rock and modern distortion. 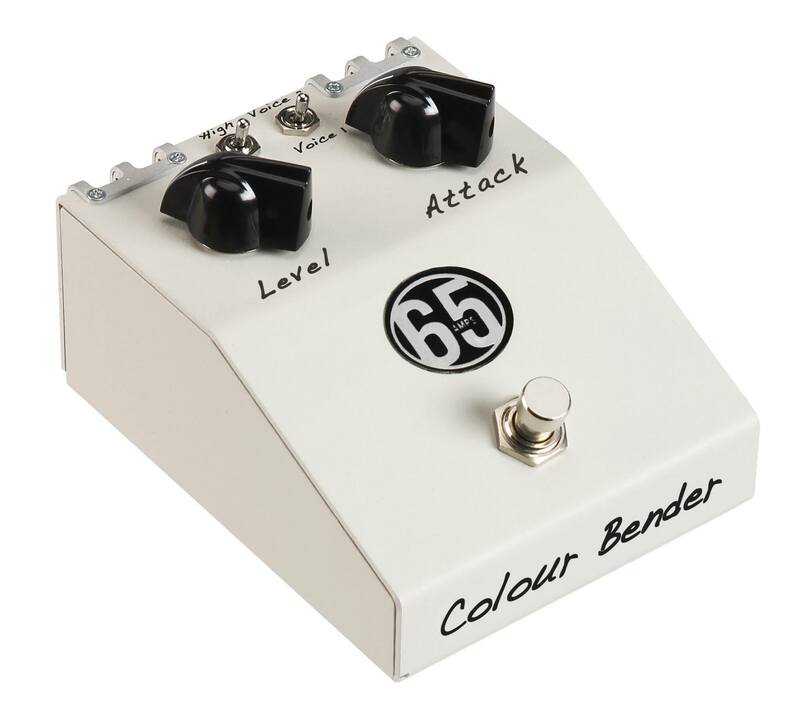 The Colour Bender features a Hi/Lo switch to adapt the global gain to the level of your guitar, a Colour notch filter that boosts the midrange, a level knob for the output at the germanium transistor stage and a last Attack knob for the level of distortion in the circuit. The pedal is available for about $300. Eventide offers a Looper to H9 owners If you own an Eventide H9 digital multi-effect pedal, you can download the Looper algorithm for free until the end of the month. Keeley’s Fuzz Head 44 in limited edition Robert Keeley launches a new series of very limited edition effect pedals, which first model is a Fuzz Head. MXR Sub Machine octave fuzz The MXR Custom Shop took its La Machine Fuzz effect and added an old-school sub-octave circuit to it to create the Sub Machine.